Founded by Tom Bertolet in 1975, we began modestly as Bertolet Cement Contractors with just Tom's sturdy back and his green pickup truck. 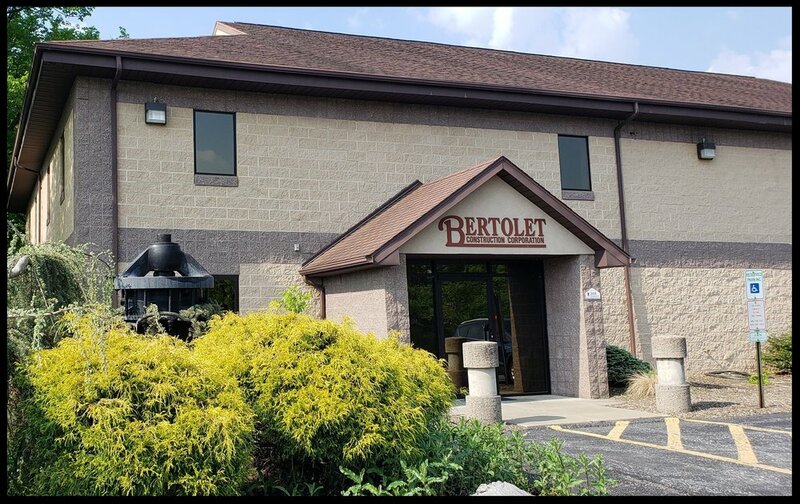 In 1988, Bertolet Cement Contractors became Bertolet Construction Corporation, focusing on building commercial buildings, renovations, site work and roadwork. Today, Bertolet Construction Corporation has grown to be a full service general contractor for Industrial, Commercial, Municipal and Community-based customers. Our success has come largely through solid relationships with repeat customers throughout the county. At Bertolet Construction Corporation we work to maintain our reputation for quality work with a professional presence and drive to exceed customer expectations. We are dedicated to conducting our business with the highest degree of integrity and honesty so that our clients trust and rely on us to perform work seamlessly, timely and competently. It is our goal to produce more than just quality work but also peace of mind. Our mission is to provide our employees with professional growth and an honest, empowering and safe working environment, where every employee, individually and collectively, can dedicate themselves to providing our customers with exceptional workmanship, extraordinary service and professional integrity.